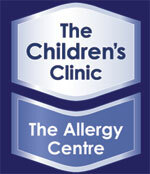 The Childrens Clinic, Christchurch, can arrange these specific allergy tests for you. They are allergy blood tests. They measure the level of “specific” IgE to various allergens. They give the same results as the skin tests. someone with a positive RAST will have a positive skin prick test. If clinically indicated, you will get these blood tests as part of your consultation with your paediatric / allergist specialist doctor.